We have multiple physicians/specialists who are employed by the hospital I work for. We will be adding a hospitalist. This is completely new to me and our region, so I have some questions. I am assuming there are no special billing guidelines for Hospitalists than those for all other physicians. If the family practice physician admits the patient for pneumonia to the hospital and follows that patient, but then the patient develops cardiac issues and the family physician requests the hospitalist to consult and then he follows only that condition will we have issues with billing? I suppose I am unsure whether a hospitalist is considered a specialty. Our family practice physicians do not want to turn all their patients over to the hospitalist, only those they feel uncomfortable handling care for and may normally transfer to a larger facility. Any information will be greatly appreciated. Hello: I am new here and posting for the first time. I am a physician/hospitalist. 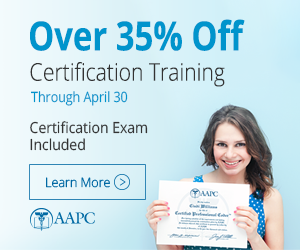 I have been studying for the CEMC course offered, which is why I joined the AAPC. Regarding your question, in most places hospitalist are either Internist or Family Practice physicians. In this case, I would not expect that both could bill as they are both of the same primary care role. Some hospitalist are actually Pulmonologist / Critical Care specialist. In this case, both would be able to bill. In your example, I would guess more than likely a Cardiologist would be consulted to deal with the Cardiac issues and therefore both physicians would bill for their own part. Others please feel free to correct me. This is how we have done it at our institution for years. Thanks for taking time to reply. Not the answer one of my physicians was hoping for, but certainly makes perfect sense.